Legally Strawberry Blonde: Sneak Preview! Feb 2010! So I have a cumulative haul for ya! That is I accumulated all these products within a couple trips to MAC! I'm expanding my collection! Lately, my makeup style is a very light wash of color on the lids, usual Blacktrack and mascara and pink lips! I find I do this look on days I have my early classes and rather sleep in a bit than fuss to much with my makeup! As always, please tell me if you want any reviews on these products or more swatches! **Sorry some of my pictures aren't the best! Shimmer and sparkle are so hard to capture! Camera wants to focus on the shimmer and fuzz out everything else!! 217 Brush: My 2nd brush, first was the 209! Can honestly do a whole look with this brush, love it for the crease! It def. has made me look more into MAC brushes, uh-oh. Naked Lunch E/S: Its a pretty, pale beige with shimmer. 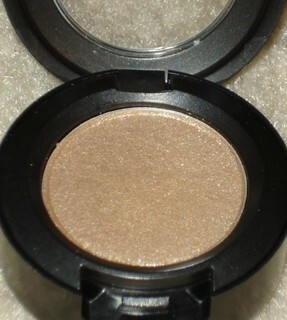 Great all over color, provides a light wash of color for those days you need to look more awake! Retrospeck E/S: Not as pale as Naked Lunch, it is a bit more bronzey looking. Again, great all over color for a nice wash of color on the lids! Which is what I'm looking for! Sable E/S: Super pretty medium-dark brown with plum undertones. 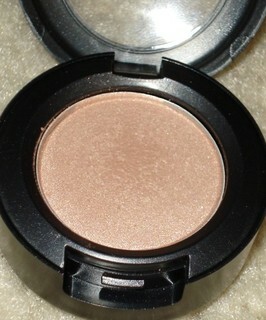 With a gentle, light hand, provides a nice lid color but a little heavier and an amazing crease color! 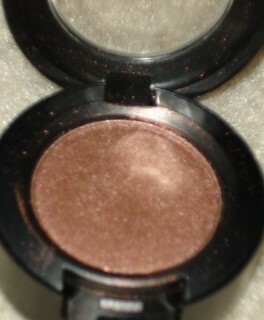 Cultureclash L/G: A nice baby hot pink gloss with silver shimmer! I got it to go with my Lady Gaga lipstick since I had no pure pink gloss! Its super pretty on its own too! Money Honey D/G: My first dazzleglass! First time I ever even looked at D/G in MAC and they're so pretty!! I hate the swatch and description on MAC's site! Its a gorgeous medium pink with tons pink glitter! But totally wearable for everyday!! And I thought I'd share what Money, Honey (L) and Cultureclash (R) looked like over VG Gaga! I know the photo is crappy, its the sparkle! But Money, Honey over VG Gaga looks like BARBIE PINK WITH GLITTER! Like ohemgizzle! So pretty!! Photo does no justice! And Cultureclash tones it down a little since its a bit paler! But still very pink and pretty!